There is a doubt prevailing over the actual number of non-loanee farmers who are the beneficiaries of the Pradhan Mantri Fasal Bima Yojana (PMFBY) as revealed by the Union Agriculture Ministry data. Down To Earth investigation revealed that the ministry has removed substantial number of Maharashtra non-loanee farmers and put them under the loanee category to show success of the agricultural insurance scheme. It changed the composition of insured non-loanee farmers in the country. Maharashtra is the only state where non-loanee farmers mostly opt of agriculture insurance. Last year, according to State Department of Agriculture, 8.25 million non-loanee farmers opted for the insurance scheme out of the total 8.94 million farmers. “The composition of non-loaneee farmers in agriculture insurance is always high in the country in both ways: in number wise as well as percentage wise,” says SL Jadhav, Director Agriculture Extension, Maharashtra. Then why is the union government showing zero non-loanee farmers in its composition and making skewed projection to show success of new agriculture insurance scheme? Jadhav doesn’t have an answer. “I don’t have any idea why it happened, but last year, 94 per cent of total insured farmers were non-loanee,” says Jadhav. This year, the non-loanee farmers of Maharashtra under PMFBY is around 7 million. This year’s figure, when compared with last year's 'zero non-loanee farmers’, looks like an exponential increase in number. After such skewed projection, the ministry projected more than six times increase in the number of non-loanee farmers who were covered under the PMFBY scheme. On December 7, the Union Ministry of Agriculture press release claimed that “there has been a quantum jump of more than six times in the coverage of non-loanee farmers” and “The PMFBY scheme has been well received by the non-loanee segment”. In 2005, the Bombay High Court directed state government that agriculture insurance scheme would be voluntary. Since then, agriculture insurance scheme had become voluntary and farmers who opted for this scheme were counted under non-loanee category. “It means, either banks take permission from farmers to deduct premium amount from loan or farmers would directly approach banks for schemes,” says Chandrakant Bamble, assistant manager, AICL-Maharashtra Regional office. “There are some cases where it is not applicable. So, last year there was 94 per cent non-loanee farmers,” he adds. Since it has been in practice to count voluntary farmers as non-loanee farmers, then why did the union government data not show any non-loanee farmers? “I don’t know why they didn’t count non-loanee farmers this year, but we sent segregated figures like always to AICL Delhi. It has been in practice for the last 10 years,” he says. According to the union ministry’s press release, last year, total number of non-loanee farmers in India was around 1.5 million. It doesn’t include 8.25 million non-loanee farmers of Maharashtra. There are some discrepancies in number of Telangana and Kerala farmers, too. While talking to Down To Earth, Shobhana Pattnaik, secretary, Union Ministry of Agriculture, claimed that the data is right but agreed to look into it. “Whatever data we have put on website is right. The figure you have pointed is showing discrepancies. I will look into this,” says Pattnaik. Ashish Kumar Bhutani, Joint Secretary, Ministry of Agriculture, who looks into agriculture insurance, agreed that there was confusion over Maharashtra data. “In PMFBY, we have done well. It was last year’s data of Maharashtra which was yet to feed into our data over confusion. We will look into it,” says Bhutani. The exclusion of Maharashtra data reduced last year’s total number of non-loanee farmers by six times. Experts feel that such manipulation shows desperation to project a failed scheme as success and help private insurance companies. According to the Pune-based agriculture expert, Nishikant Bhalerao, “This year, 10 out of total 11 insurance companies are private. If government claims success, it will only be attributed to these private companies to which government allocated premium amount,” says Bhalerao. Some states have performed well in implementing the PMFBY. 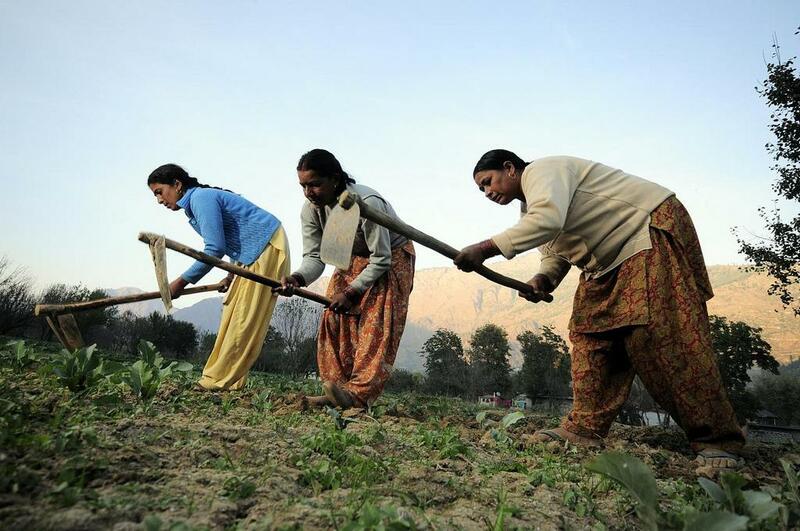 It is due to the cooperation from few states that the number of non-loanee farmers has gone up. The states such as West Bengal and Jharkhand have performed well. In West Bengal, there has been more than double increase in the number of non-loanee farmers. “It happened because the state government totally waived off premium amount of farmers,” says senior officer of West Bengal region of AICL. The number of farmers in Jharkhand increased because of cooperative banks. The insurance schemes come under cooperative ministry. It is easier for them to mobilise farmers than other schedule banks, which are seriously understaffed. This year, the number of non-loanee farmers have reduced in Karnataka, Maharashtra, Bihar, Himachal Pradesh, Odisha, Tamil Nadu and Kerala. Because of pressure from state governments on banks for agriculture insurance, the number of total beneficiaries in states like Andhra Pradesh, Chhattisgarh, Madhya Pradesh, Uttarakhand, Gujarat, Karnataka and Maharashtra witnessed a surge. “Banks put extra effort to bring farmers under this flagship scheme,” says a senior officer at the Ministry of Agriculture.